The Woolton Group have been fortunate enough to attract some new members and on this occasion Yachtsman’s Lodge No 3698, which incorporates Otterspool Lodge No 6605, were very pleased to welcome Andrew Aitchison into their lodge. Andrew has been a friend of his proposer Andrew Jones and seconder Len Jones, for many years and that friendship started when he and the WM Andrew Jones played cricket together. The lodge was opened in due form by the WM Andrew Jones and the formal business was quickly dealt with, whilst the candidate was being prepared by the tyler John Hibbert. James Campbell was asked by the WM to occupy the master’s chair for the ceremony, which he was pleased to accept, who was in turn ably assisted by Peter Hesketh. The candidate was duly admitted. 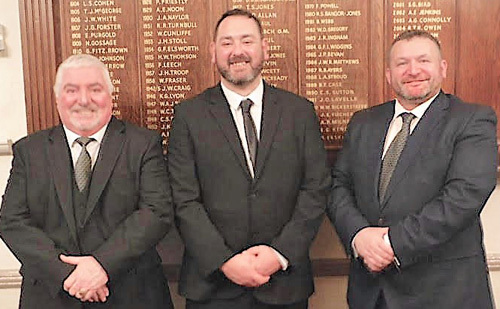 He was accompanied by Phil Gambrill, acting as junior deacon and David Thomas as senior deacon and was initiated into Freemasonry in fine form. Having been initiated, Andrew retired from the lodge to restore himself to his former comforts. During his absence, Jim Campbell asked the WM to resume his rightful place in the lodge and had much pleasure in congratulating Andrew on his return. One of the light blue members of the lodge, Jonathan Pagan, delivered in exemplary manner, an explanation of the first degree working tools. The first degree charge was provided by David Keay, in a faultless way. Ian McGovern was in attendance in his capacity as Group Mentor and gave Andrew an explanation of the Woolton Group and the mentoring help that would be available to him. Unfortunately, at this point one of the elderly brethren collapsed and the lodge was fortunate to have, as members, a very senior nurse and another who is a senior paramedic in the North West. The lodge was closed immediately, an ambulance summoned and the elderly brother was taken to hospital, where he received the appropriate treatment. The lodge reports that the patient is now somewhat better. The rest of the brethren retired to the dining room to continue the celebrations. Pictured left: Jonathan Pagan (left) and Andrew Jones. Pictured right from left to right, are: Jim Campbell, Andrew Jones and Peter Hesketh.